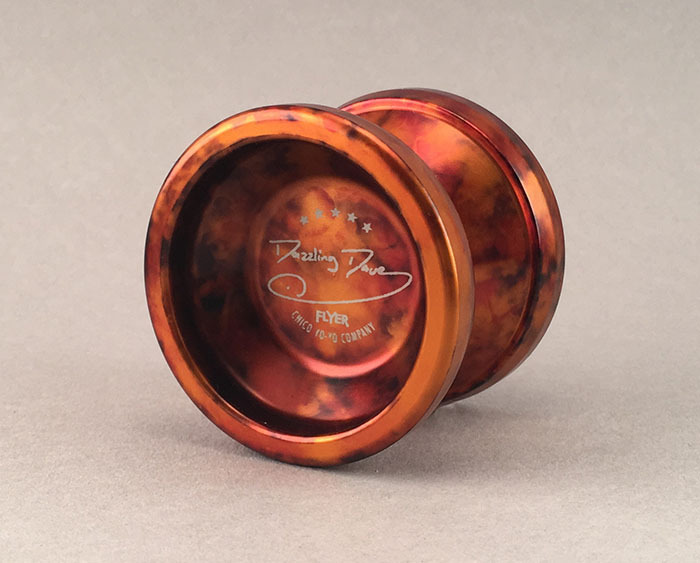 Dazzling Dave's Flyer plays smooth and fast on the string! 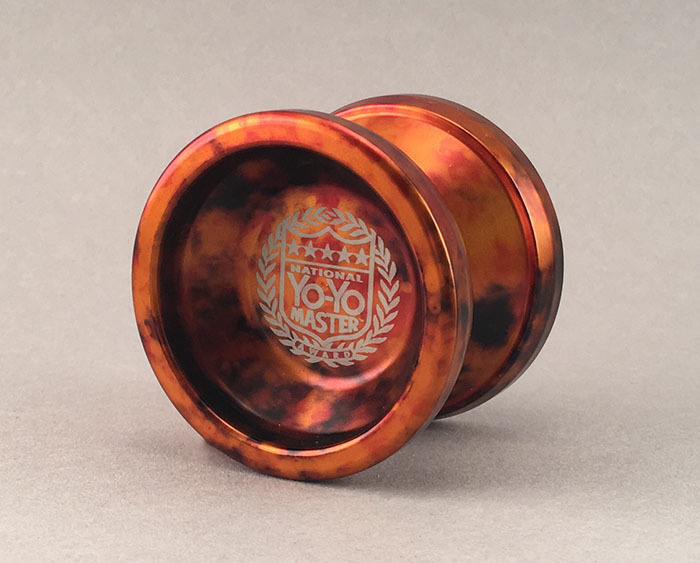 Slightly undersized, and with a wide gap, this yo-yo is for the advanced player who is ready for fun! Stability on the string, and very long spin times make this yo-yo a great choice for competitions, or just having fun! 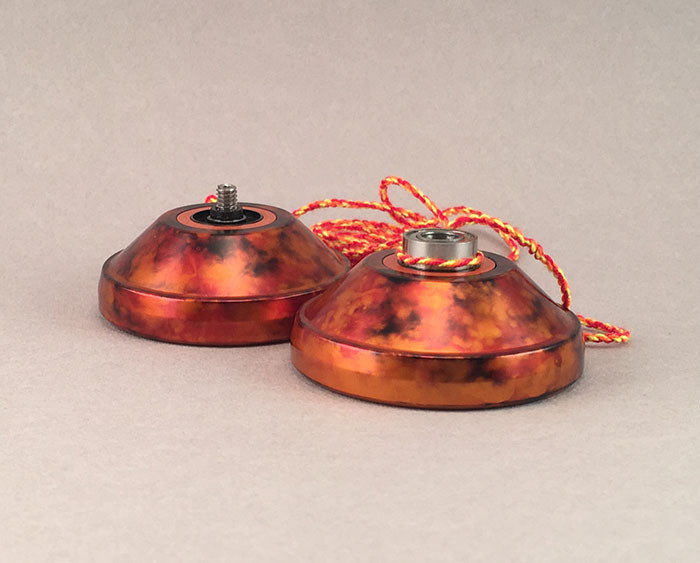 Great yo-yo for advanced players only who are familiar with the "bind" method of return, and advanced string tricks. Also for collectors searching for a rare gem.